The ambition of the show, and its willingness to stomp all over the debate, is its great strength; its unwillingness to be more nuanced about whose boots are stomping where is its great weakness. 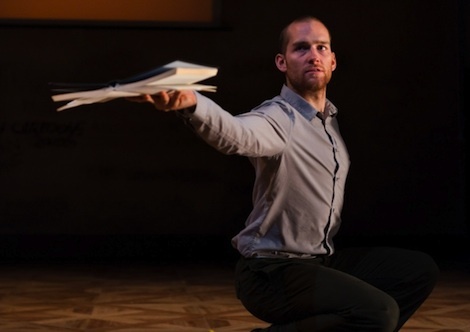 LLoyd Newson, the founder of DV8 and the director, choreographer and creative drive behind the show (and one of the panelists at last weekend’s Brighton Festival debate on free speech) has responded to my review. Lloyd is famous for never reading reviews of his work, so I am honoured that he should not only have read my review but responded to it. I am publishing that response here in full. As you might expect, I disagree with Lloyd’s disagreements, particularly about the show’s depictions of Ray Honeyford and Geert Wilders. I don’t, however, want to turn this into a drawn-out debate, especially as I am both a friend and an admirer of Lloyd’s work, and I very much agree with him about free speech. So I’m happy for Lloyd to have the last word. I am, however, interested in what others think, especially those who have seen the show. So do join in the discussion. 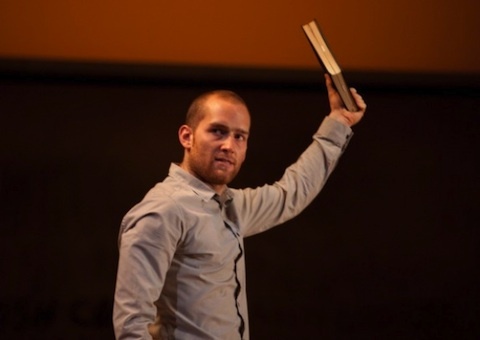 Kenan Malik was one of roughly 50 people I interviewed for DV8’s verbatim theatre production, Can We Talk About This?, a work about Islam, multiculturalism and free speech. Having seen the production at the National Theatre in London, he reviewed it on his blog. This put me in a difficult position because I have only read one review of my own work since the late 1980s. At that period of my life I had a compulsion to reply to critics whose reviews I disagreed with, but as I’m not a natural writer it took me an inordinate amount of time to pen a reply and I came to the conclusion that my energy was better spent making work, rather than writing letters. However, as Kenan was kind enough to agree to be interviewed for Can We Talk About This? and is someone whose intellect and book From Fatwa to Jihad I admire, I felt obliged to read his review and predictably, despite myself, have fashioned a response. There are three elements of the production that I feel Kenan has misunderstood or misrepresented in his review; the style (the combination/contrast of movement and text), the portrayal of the characters and the balance of opinions within the work. I have explored the relationship between text and movement for over 25 years, and firmly believe in the combined power of both to comment on and illuminate complex issues such as those explored in Can We Talk About This?. The choreography is sublime, the movement spellbinding… however too great a gap opens up between what is being said and what is being done. There was quite a bit of tittering during the show, because many in the audience seemed to read the dancing more as a reworking of John Cleese’s Ministry of Silly Walks than as an accompaniment to a political polemic. Those in the audience who found humour (‘tittering’) in some of the movement are not reading the work in the wrong way, nor is it the case that humour and political polemic are mutually exclusive. A very small section of the production, in particular a scene concerning Bradford headmaster Ray Honeyford and a monologue from comedian Pat Condell, deliberately references Pythoneseque movement, because at times I felt that some of the debates and hysteria around multiculturalism and Islamophobia had reached levels of absurdity. It’s not accidental that Condell’s commentaries on multiculturalism and free speech, broadcast to millions on YouTube, are often acerbic, satirical and exaggerated in tone. The use of humour to explore complex ideas is a long-standing tradition, and maybe something Kenan might want to take up with political comedians. Kenan might argue that the ‘tittering’ of the audience implies they are not engaging with the text, but I think he underestimates those people when he assumes they can only read one element of the production at a time. I appreciate that my approach to theatre, combining highly stylistic movement with text, won’t appeal to everyone. However, the enthusiastic and generous response of audiences around the world suggests the combination of movement and text has worked well for others. In the opening scene, the Bradford headmaster Ray Honeyford is presented as a nice, moderate, if conservative, figure, only looking out for the children in his care. To describe Honeyford as ‘conservative’ is a bit like describing Enoch Powell as ‘conservative’. I personally regard Mr Honeyford as racist; some of the comments which he has made in his articles, in my view, are very, very clear racist terms. A passage you wrote, that caused particular offence: ‘Pakistan is a country that cannot cope with democracy… obstinately backward… corruption at every level… the heroin capital of the world.’ Now, should you as head teacher of a school with 90% Asian pupils, should you really have been writing in that sort of way? If we were trying, as Kenan implies, to portray Honeyford as a genial, blameless hero-figure, we would not have listed some of the objectionable claims Honeyford made in his Salisbury Review article. Similarly we could have omitted some of the criticisms from Mohammed Ajeeb, community leader Amin Qureshi and others. Instead we could have gone into detail about the death threats, violence and intimidation levelled at Honeyford and his supporters by the local community, or the financial settlements he won from Bradford Council and the Commission for Racial Equality when they tried to label him as a racist, or indeed the 2001 report by Lord Ouseley, which many saw as a validation of Honeyford’s concerns 15 years on. …it is important not to present Honeyford himself as a hero or a moderate or to whitewash his views and his record. By including strong criticism of Honeyford and considering all of the factors above, I believe we presented the situation fairly and accurately. Can We Talk About This? presents [Wilders] as a doughty defender of free speech… The fact that Wilders is an odious reactionary does not mean that he should be banned from this country… but neither does the fact that he and his film were (temporarily) banned mean that we should treat him as a free speech hero. Comedian and social commentator Pat Condell, who refers to Wilders, at no time portrays Wilders as a ‘defender of free speech’ or a hero, nor does he ever say explicitly that he agrees with Wilders’ far right philosophies. The section is not about Wilders per se, but the right to free speech for everyone, even if you disagree with what they say. Condell argues that Wilders, as an elected Dutch MP, has the right to speak in the Houses of Parliament when invited to do so by the British government, as he had a right to make and show his film Fitna. …he [Wilders] wishes to ban the hijab… he wishes to take away the Qur’an… he wants to close down the Islamic centres, this is the same thing that we see in the wretched of the British media. Just the other day, in the Daily Mail, they had a vote to see if they wish to ban the hijab. We’re here to protest against this man, Geert Wilders… ’cause obviously he knows that in Islam, the punishment for the one who insults the prophet is capital punishment, and he should take lessons from people like Theo van Gogh and others, who faced the punishment… we’re here to warn him and remind him that he’s going to remain holed up for as long as he insults Islam and Muslims. Both parties are shown to be guilty of arguing for ‘free speech for me but not for thee’. Free speech, as I’m sure Kenan would agree, isn’t a right just for people we agree with, or for diplomats. Whilst researching the production I found myself sympathising with aspects and principles of what some of the Islamists in the work argue, such as their right to protest at homecoming parades or burn poppies to object to British foreign policy. We don’t treat Wilders as a hero of free speech any more than we treat the protestors as heroes of free speech. It is important at this juncture to note that Can We Talk About This? is a verbatim work; all the words spoken on stage are taken from interviews and original source material. Of course there is editorial control involved in everything, but much effort has gone into cross-checking all final edits to ensure that they remain true to what was said in each interview. It is wrong and dangerous to conflate the opinions of the characters with those of DV8 or myself without recognising that throughout the work the characters are continually expressing opinions diametrically opposed to each other. I could analyse Kenan’s other comments about my work in the same detail as above, but at the expense of boring everyone, and focusing on the negative rather than positive aspects of his review, I’ll respond briefly to a few other points about balance and representation and then leave it to the reader to see the work live and decide the validity of my arguments. 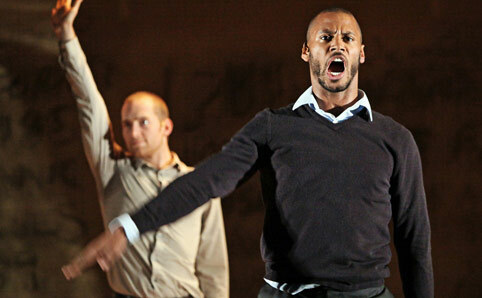 DV8 is clearly presenting a critique of multiculturalism… as a set of political policies aimed at institutionalising cultural differences, while defending the idea of a diverse society… Yet, many of those whose voices the show uses to make its argument have a very different starting point. Their critique is not of multicultural policies, but of immigration, Islam and diversity. This statement is completely inaccurate. Apart from Wilders and Honeyford, the majority of those featured in the production who oppose the policies of multiculturalism are not arguing against ‘immigration, Islam or diversity’. Those featured in Can We Talk About This? include: Irshad Manji (reformist Muslim), Salman Rushdie, Gita Sahgal (ex-head of Amnesty International’s Gender Unit and member of Southall Black Sisters – a black and Asian women’s group), Ayaan Hirsi Ali (ex-Muslim, ex-Dutch MP), Mehdi Hasan (political editor of the New Statesman), Maajid Nawaz (Quilliam Foundation), Johann Hari (Journalist), David Henshaw (Director of Undercover Mosque), Jasvinder Sanghera (Director of Karma Nirvana) and Zena Briggs (The Zena Foundation) – both charities for Asian women who’ve experienced forced marriage and honour based abuse, Philip Balmforth (Bradford District Vulnerable Persons Officer/Asian Females), Maryam Namazie (One Law for All), Usama Hasan (Imam and scientist), Mohammed Ajeeb (ex-Lord Mayor of Bradford), Ishtiaq Ahmed (Bradford Council of Mosques), Adnan Rashid (Hittin Institute – Islamic think-tank), Mizanur Rahman (Muslim protestor), Shirley Williams (former Labour and Liberal Democrat MP) and members of Muslims Against Crusades (MAC). None of these interviewees are against immigration or Islam, although MAC members might be against equality for women and homosexuality and dream of a country governed by sharia. There are virtually no secular voices, radical or liberal, or Muslim mainstream ones, confronting the likes of Honeyford or Wilders, or challenging the suppression of Islamic dissent. As stated earlier, we use extracts of my interview with Mohammed Ajeeb, the Lord Mayor of Bradford at the time, to confront Honeyford, and we also use the voices of Amin Qureshi (community leader appointed by parents opposing Honeyford) and a white Labour Bradford councillor. Wilders’ right to free speech is supported by Pat Condell, a secular Western provocateur, and challenged by Islamist protestors. This work is not called Can We Talk About (just) Ray Honeyford, Geert Wilders or for that matter, Mizanur Rahman. Each one of the 23 scenes in the production could have become a 90 minute work in itself. By dwelling too long on a single story I would have failed my stated objective. This was to look at a chronology of events from 1985 until now, primarily throughout Europe, which has led to the present day situation where, as Kenan so succinctly describes, ‘liberal cowardice has interwoven with multicultural naivety to allow Islamist extremists to silence critics and to betray both principles and people’. It’s important to reiterate that we present the voices of moderate, liberal and radical Muslims and secularists throughout the work. 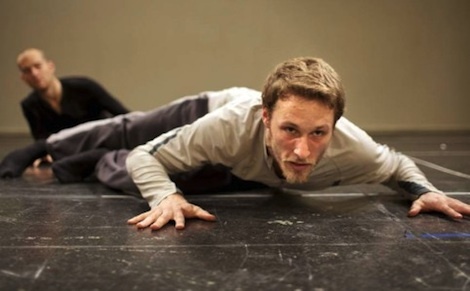 Please refer to DV8’s website for a comprehensive list of interviewees and contributors. I would argue it is Kenan who has missed many of the nuances in the work and on one level I appreciate why. It is a compact and dense work – one viewing is hardly enough to hear and digest all of the details presented. A number of people have come back to see the production more than once, and inevitably say they have understood and learned much more from a second viewing. However, I take exception to the allegation that the production ‘stomps all over the debate’ in such an apparently clumsy fashion. The development of Can We Talk About This? involved over a year of research by myself and the DV8 team and has been refined over another 12 months of touring. Many of the interviewees in Can We Talk About This? are the world’s leading exponents on the issues of Islam, multiculturalism and free speech. Unlike Kenan, I think many of the thoughts and arguments they/we present are in fact very nuanced. If we were obliged to present every detail of each person and their story/body of work in order for the production to be seen as valid, I’m afraid we’d all still be sitting in the theatre watching the show.